You can also gather decor from around the house, such as greenery and metallic bowls. 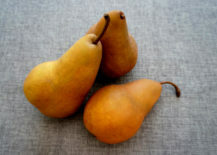 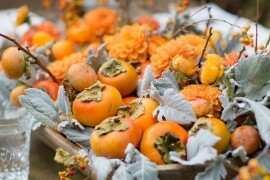 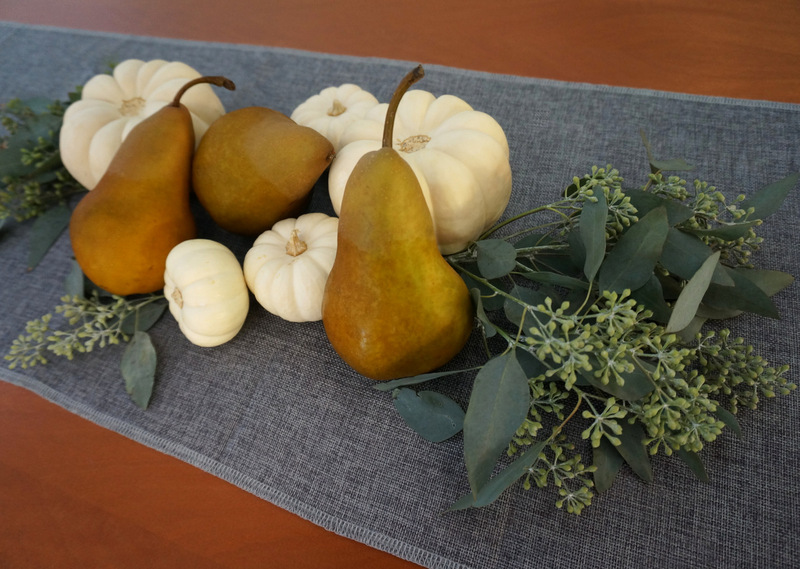 Today’s featured centerpiece includes a combination of warm and cool tones. 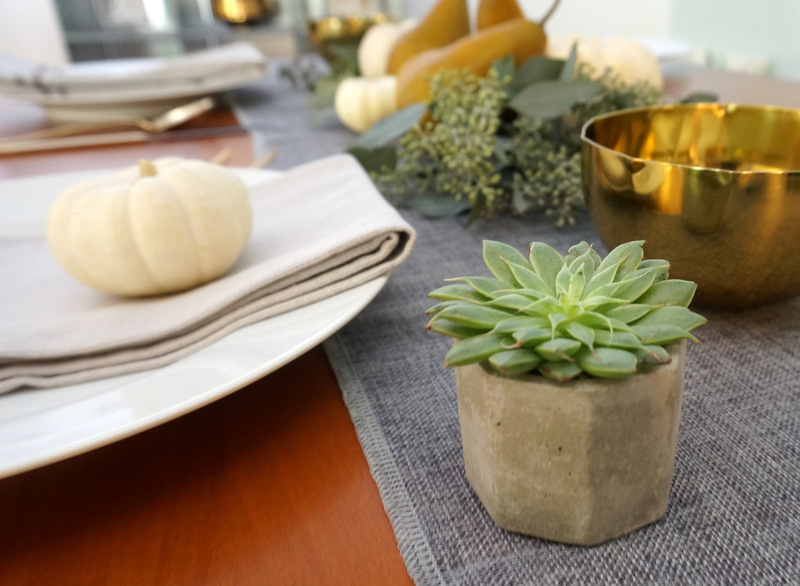 Grey meets gold in an irresistible pairing that showcases the power of mixing metallics. 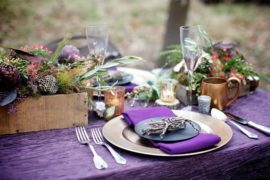 To keep the display from being too busy, stick with neutrals, such as silver, gold, linen and natural wood. 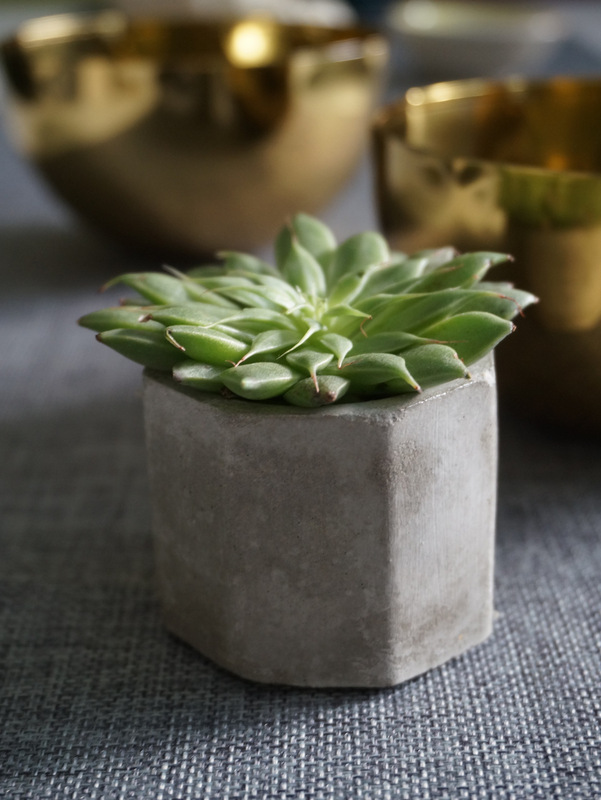 Pops of greenery will add life, along with selections such as seeded eucalyptus. 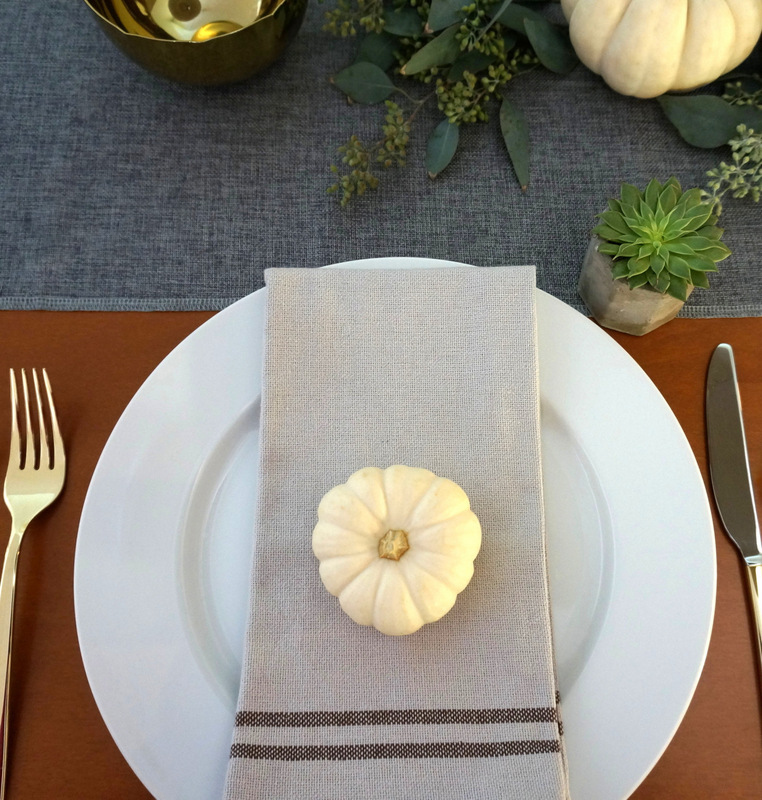 Consider including a favor at each place setting. 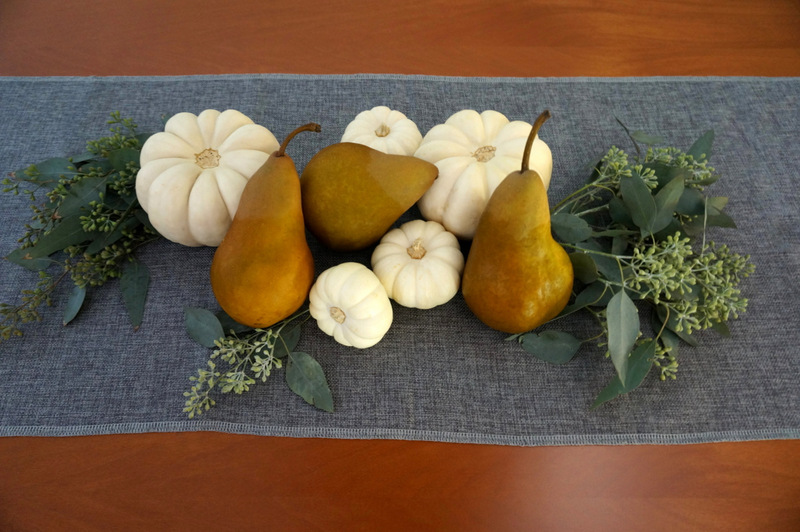 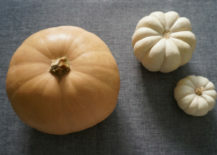 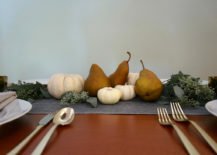 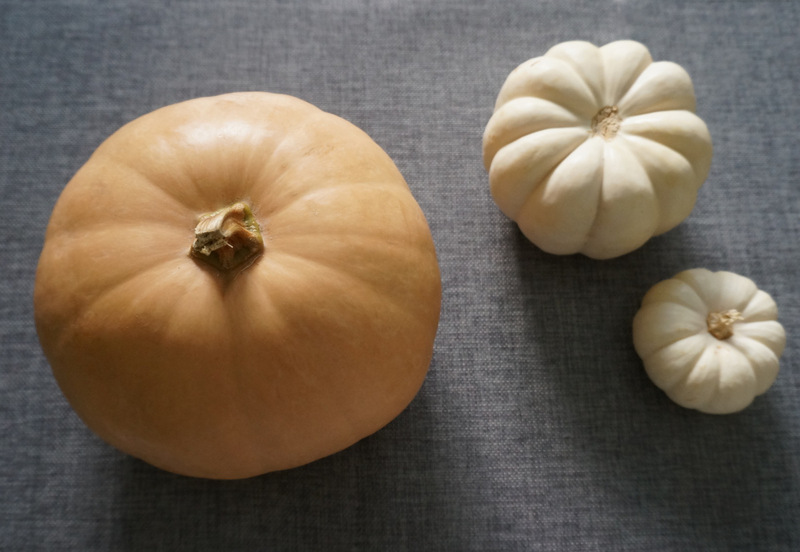 Small white pumpkins make a lovely addition to the Thanksgiving table. Linen napkins also work well with a grey and neutral palette. 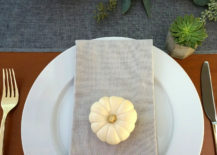 For a fun seasonal idea, place a pumpkin on top of each napkin, as shown below. 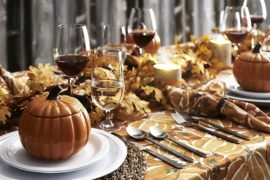 Wash off each pumpkin before adding it to the table (to ensure that the napkins remain clean). 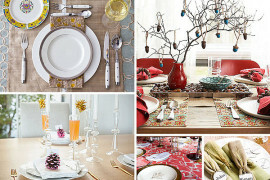 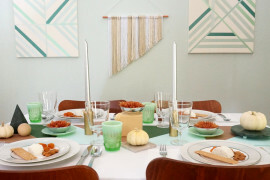 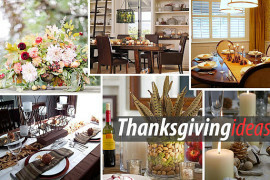 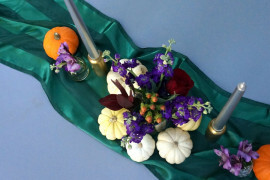 RELATED: Awesome Thanksgiving Table Settings That Take the Party Outdoors! 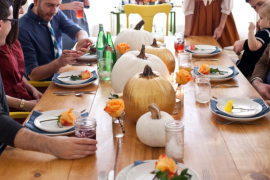 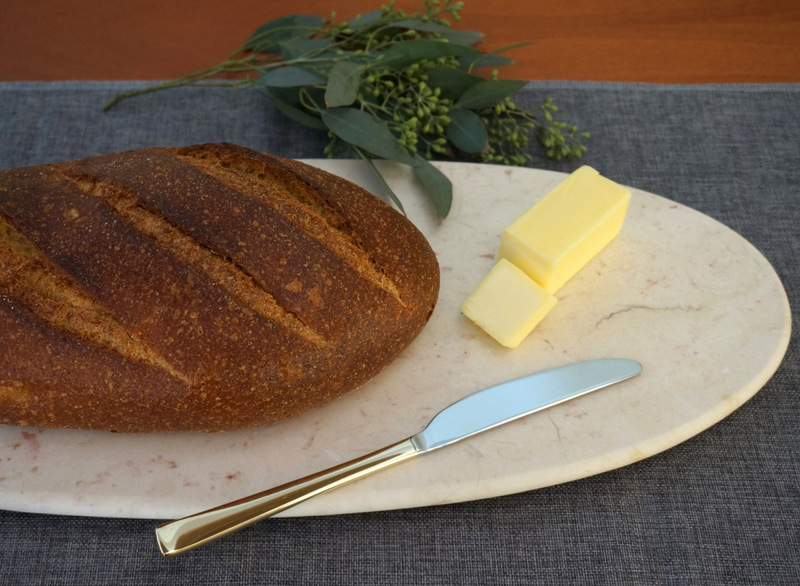 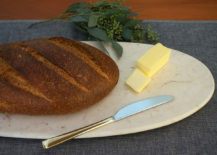 Fill the entire length of the runner with produce, or leave room for other items that will be served with your feast (such as fresh bread and butter). 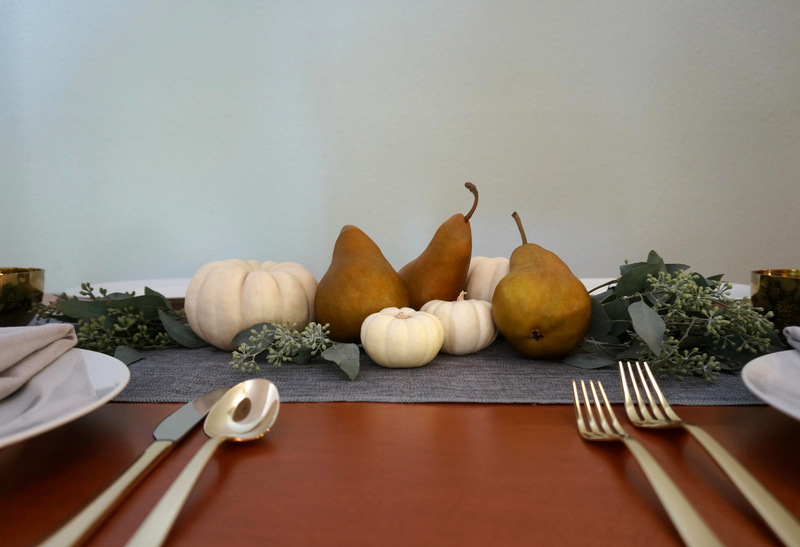 In case you’re wondering, the gold flatware featured today is from Crate & Barrel. 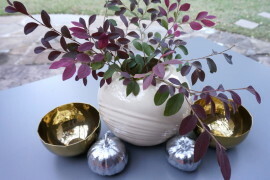 Top off your centerpiece by adding a metallic touch or two, such as brass bowls. 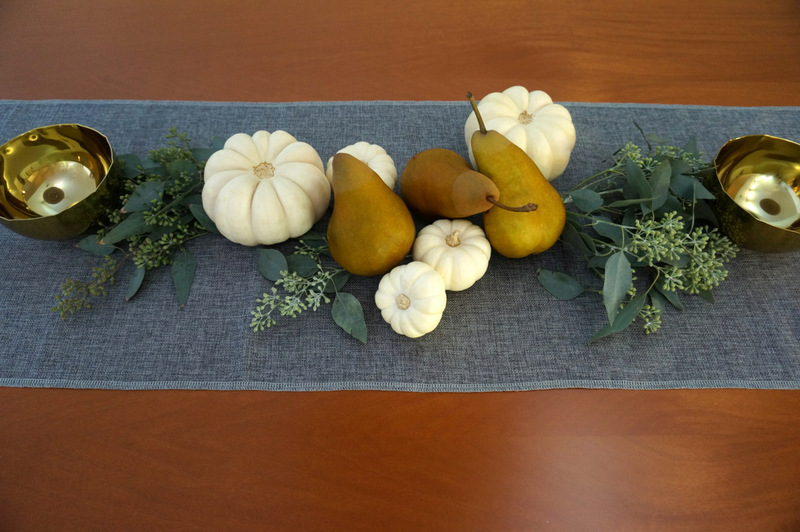 Enjoy playing with the arrangement until you have a display that’s worthy of a feast!